Memorial Day will be here before you know – and with it, the barrage of eager shoppers flocking to every outdoor leisure sale under the sun. Most outdoor leisure retailers will already have their floors set with grills, patio sets and poolside… and multi-category or home hardware retailers will soon be setting up garden shops and finishing their outdoor floor sets. At the same time the merchandise is being put on display, retail marketers are putting the final touches on your Memorial Day plans right now. 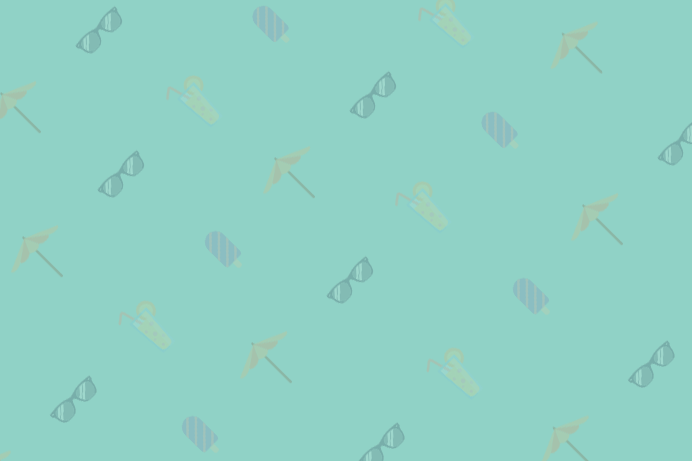 And since Memorial Day is the kickoff to the highly competitive summer season, smart marketers are looking for a competitive edge to differentiate their brand from the pack. DemandJump has been watching this category, and comparing year-on-year marketing approaches of the seasonal winners and losers. What is clear for 2017 is that Pier 1 Imports, IKEA, West Elm, Wayfair, Pottery Barn, Frontgate, and others are gearing up for all-out war. We’ve also found some very interesting opportunities where smart challenger brands are poised to give the market leaders a run for their money. So, before you finalize that spring strategy, read on to uncover six explosive traffic driving sources you need to master to win the season. Do we have your attention? Good. Pop a squat on that new outdoor sofa, and let’s chat. Now, let’s look at six frothy sources of leads you best tap into — and remember, like beer, it’s the quality that matters, not just how many you throw back. 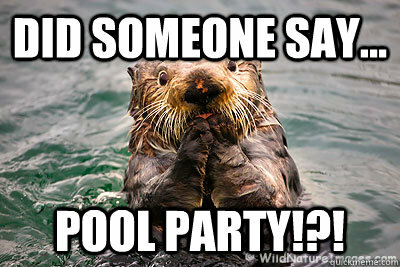 When it come to Facebook and Outdoor Leisure… Get. Serious. Now. Facebook is crushing it for savvy marketers in the home category, including a range of brands from Walmart and Target to Pottery Barn and West Elm. 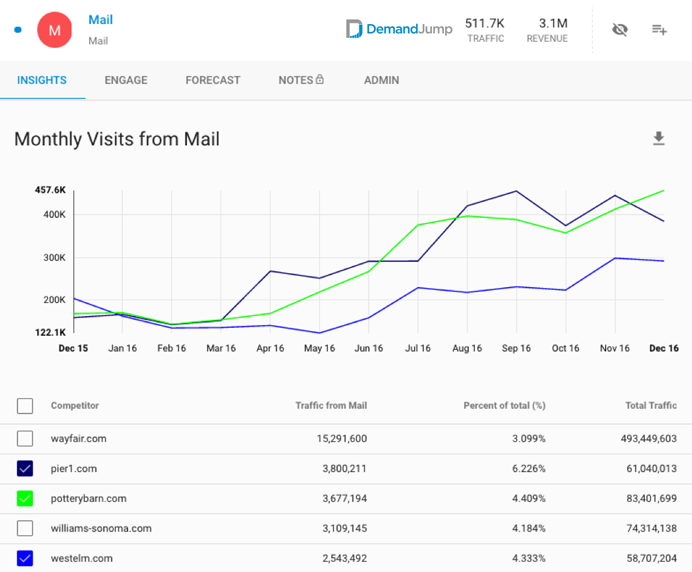 Retailer after retailer monitored by DemandJump has experienced hockey-stick-like growth in traffic and revenue by optimizing their engagement through this social media giant . This isn’t so much a recommendation that you should be engaging with Facebook Ads. It’s a warning that if you aren’t optimizing Facebook to drive as many leads as possible, you are missing out on one of the single biggest revenue generators in home and outdoor leisure categories. West Elm and Pottery Barn have literally doubled their traffic from Facebook since May. And IKEA and Wayfair are capturing well over 1M new visits every month. 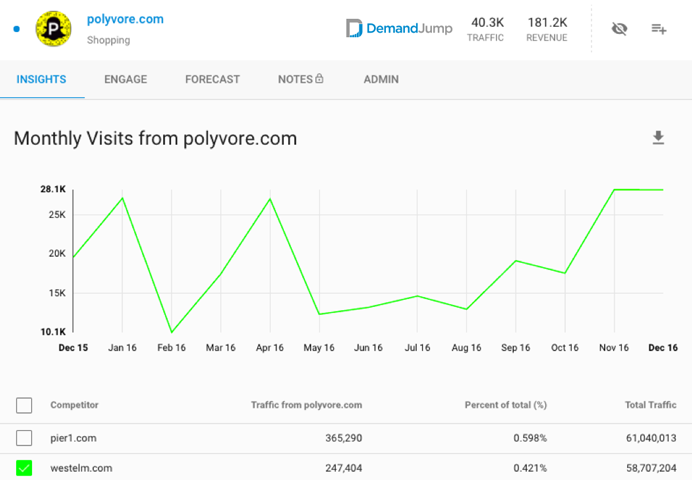 West Elm alone has received ~250K visits from Polyvore.com in the past year. This traffic generating juggernaut is a must-engage for any retailer of outdoor leisure. Pottery Barn and Crate and Barrel have also tapped into Polyvore to capture new traffic, but Wayfair and Havertys are leaving a lot of ‘steak on the barbie’. Many home marketers may dismiss Polyvore as a primarily fashion and beauty affiliate. However, it is, in fact a “lifestyle” affiliate that savvy home and furnishing brands are using to soar under the competitive radar and literally steal traffic. Consider yourself warned. You don’t want to miss this one. Again, and again, and again……. 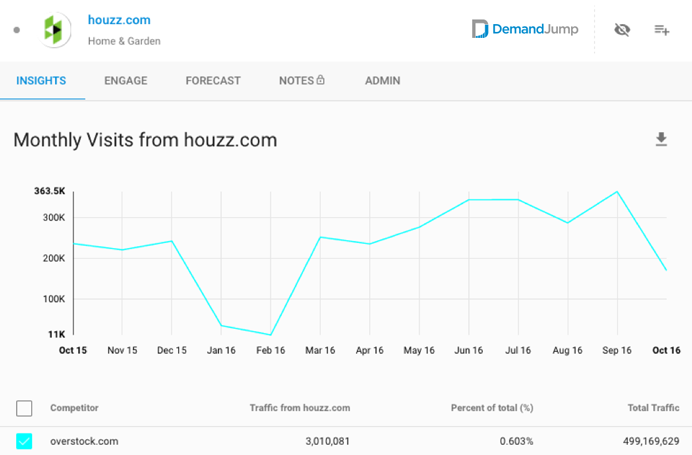 AND AGAIN, Houzz.com gets flagged by DemandJump’s Artificial Intelligence Marketing (AIM) platform as an absolute traffic-driving powerhouse in home, outdoor leisure, kitchen, and lighting categories. Yet many brands still seem unwilling or unable to engage. For sharp marketers who have tapped into Houzz, however, it’s been all traffic and no looking back. Overstock, Hayneedle, Frongate, and Pottery Barn collectively generate millions of website visitors every year from this one source. And Overstock alone has generated more than 350K new leads from Houzz.com in a single month! 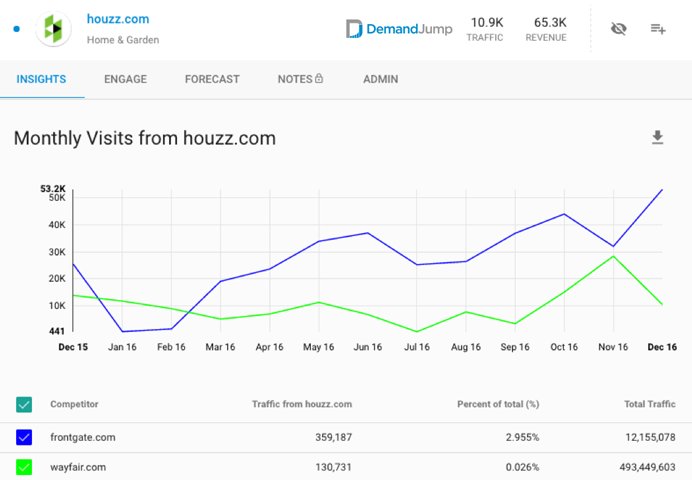 With new promotional and sponsorship strategies recently launched, Houzz is increasing its significance as a critical traffic source. Brands that can productively leverage this relationship will see massive return on investment. Those that don’t leverage this relationship… will be left out on the lanai. Don’t be fooled by the name. ApartmentTherapy.com isn’t just for the apartment-dwelling, no-yard-having, city slickers. 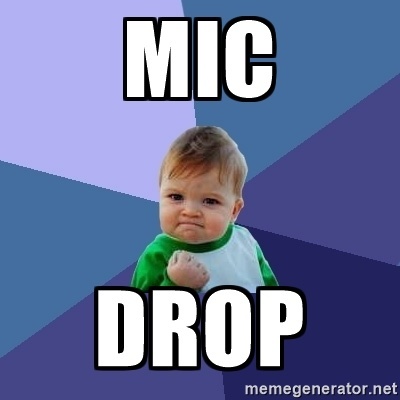 Lots of homeowners frequent this popular blog website looking for tips, tricks, advice, and, oh yeah… new stuff to buy. 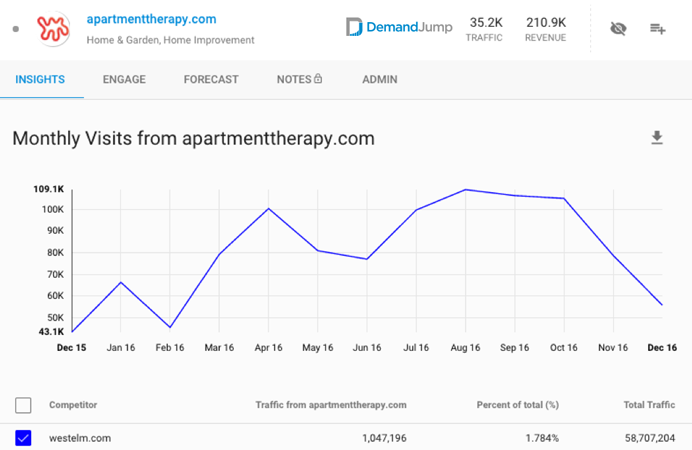 Just ask West Elm, who generates more than 1.5% of their total annual traffic from ApartmentTherapy.com. Or Overstock, who gets almost 1M visits annually from ApartmentTherapy.com. 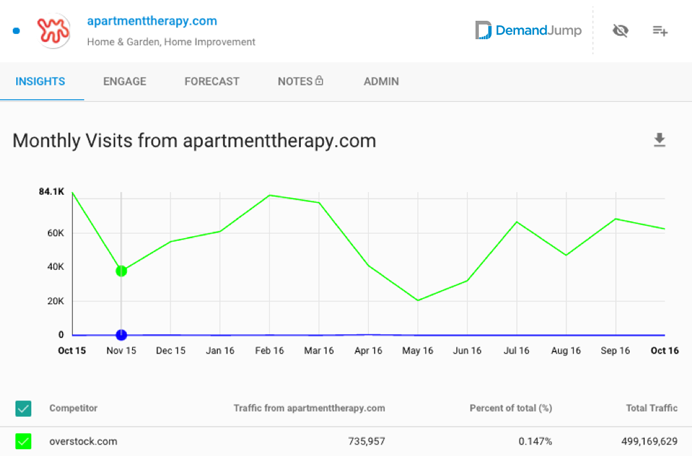 On the other hand, Pier 1, Wayfair, and Walmart are missing huge opportunities, driving relatively small amounts of traffic from ApartmentTherapy.com. There are lots of ways to drive traffic from this blog website, including display advertising, sponsored stories, and, potentially, blogger outreach (though they are careful to always deliver value with their content). Don’t sleep on this traffic source. Apartment Therapy should be one of your best roommates. Slickdeals is another very powerful traffic source in the outdoor leisure category. Wayfair generates around 600K new leads from Slickdeals every year, while IKEA drives more than 800K. Kirklands and West Elm were also flagged as strong performers on Slickdeals, driving 15K and 130K in total annual traffic respectively. In January, April, and October, the savvy marketing team at Wayfair generated 300K combined visits from Slickdeals. On the other hand, several brands missed this opportunity, potentially losing hundreds of thousands of new visitors, and millions of dollars in sales for their brands. Pier 1, for example, generates less than 20K visits from Slickdeals annually. 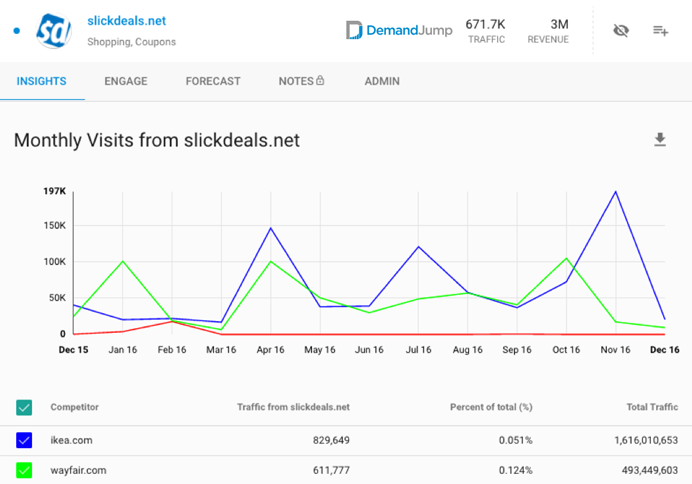 Artificial Intelligence from DemandJump labels this opportunity worth $3M for Pier 1 if they were to only capture an equal share of traffic as their competitor set is driving from Slickdeals. 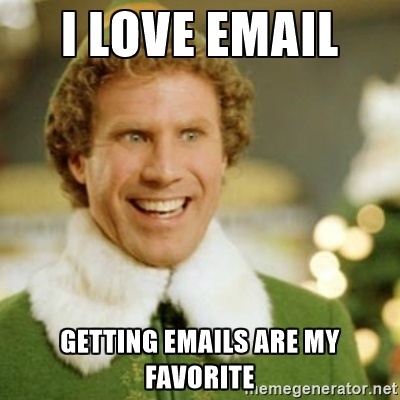 How could we forget about good old email? Well this news is not old. Surely every serious marketer knows the disproportionate productivity of email in conversions and revenue as compared to other marketing channels. In the last year alone, several of the biggest players in Home and Outdoor Leisure have doubled their traffic from email. And it’s only trending upwards. Pier 1 went from 150K new leads from email in December 15 to more than 350K new leads in December 16. And Wayfair increased their traffic from email by well over 200% last year. In fact, nearly every major competitor in the category saw significant increase in email traffic. So it’s all rosy, right? 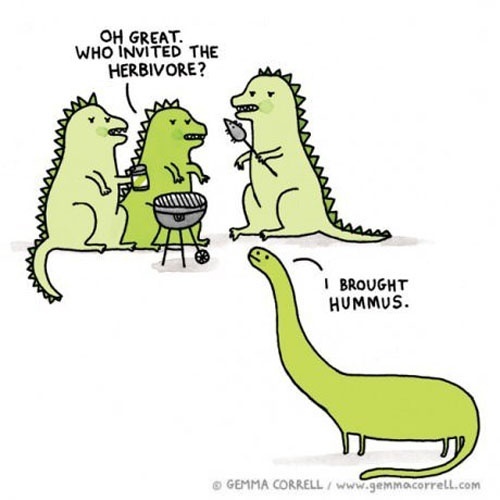 (pssst! See numbers one and two above). The traffic is out there. Customers are already planning holidays in the sun and they’re ready to fire up a new grill. The challenge for outdoor brands today is getting in front of interested consumers precisely when they are researching alternatives. It is all about savvy demand generation online. Driving traffic is challenging — but if you know where to look, it’s a whole lot easier. And, if you can see specifically where your competitors are getting their traffic — it’s easier still! A handful of Home and Outdoor Leisure brands are stepping up and showing off their marketing prowess online. For everyone else, these rock star brands (like IKEA) should serve as a model. Learn from their successes and failures — that way you aren’t wasting your budget going out and testing different things that may or may not deliver. 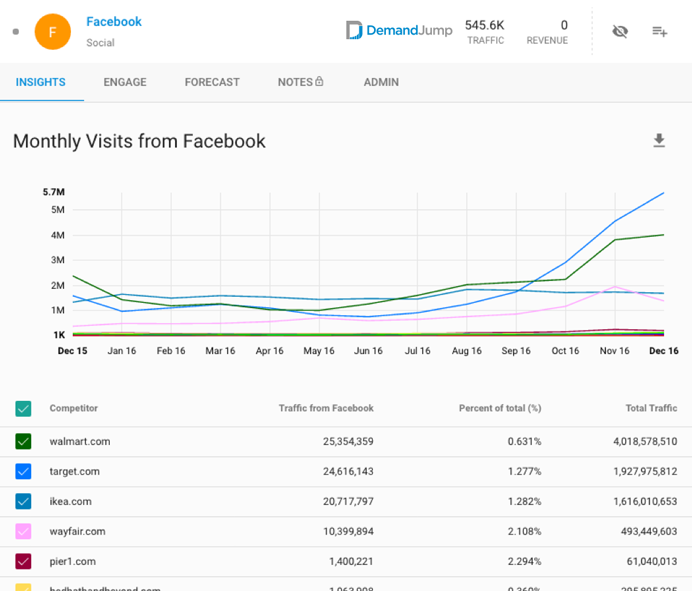 Thanks to Artificial Intelligence, DemandJump can tell you precisely what works, and what doesn’t. Want to know where more of your customers are? Give us a call.